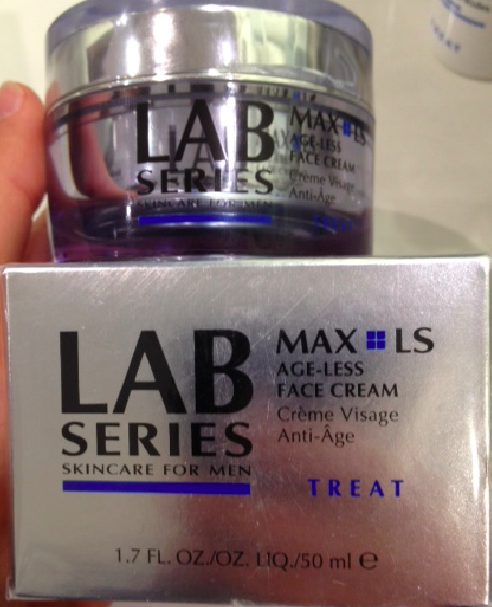 The Age Less Face Cream by Lab series is a skin cream for men. It has no sunscreen. My boyfriend tested this anti aging cream for 2 months. He probably made the worst picture in his bathroom, so our apologies for the pic. The cream feels like no other skin cream. You can compare it with coconut balm. It contains antioxidants and skin-repairing ingredients and we have to say the product isn’t bad, the hydration is good, but there is a problem. When you apply it on your face after shaving, your skin can irritate a bit. It also depends on your skin . After using the Age Less Face Cream for a period 8 / 9 weeks it resulted in a softer skin BUT not less wrinkles. Finally the price, it will cost you about $ 69 for 1.7 fl. oz. / 50 ml . Is it expensive you ask? Thats for you to judge.